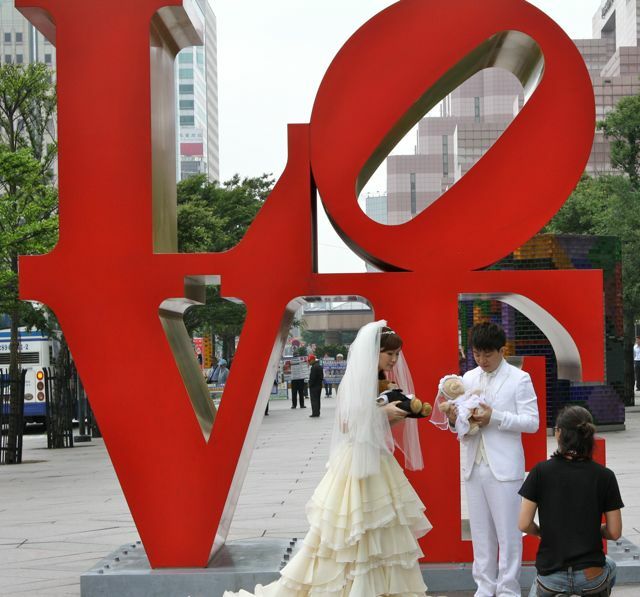 In Taipei, Taiwan, Keith and I saw a new bride and bridegroom being photographed by the word “LOVE.” They even took photographs with a babydoll. Their love journey was just beginning. This couple’s anticipation was high, and their future was bright. I wonder what their love journey will look like with mountains of diapers, stacks of bills, and debilitating sickness. Remember + repent + do = first love. Simple words that indicate that love is a choice, and it is a verb. It’s looking back and thinking about where your love journey exists in the present and where your love journey started. If you find that you have lost that first love, it is turning from your present, mourning that loss, and then doing what you did when you were experiencing that first love. Granted, Jesus was talking about the Christians in Ephesus losing their first love for Him, but this principle can be applied to marriages as well. Do you remember what you did before you got married and during the first years of your marriage? That’s the key to rekindling that first love: remembering the anticipation of being with your love, the careful preparations before the dates, the long phone calls after the dates, gazing into each other’s starry eyes, drinking in each other’s essence, the “tingles,” in Gary Chapman’s words. It’s a promise: Remember + repent + do = first love. Won’t you possess this promise? May the Lord richly bless you with a passionate and deep love for your spouse.